NEW YORK (CNN) -- Should you buy a pet for Christmas? In many cases, it's a pretty bad idea. Before you decide to find out how much is that doggie in the window, take a couple of minutes to pause and consider some factors. New York's animal shelter is the home of hundreds of dogs and cats who turned out to be surprise gifts people did not want for Christmas. It will be the last Christmas for most of the animals. 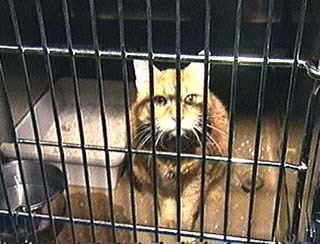 "The reality is that 100 animals are brought into the Manhattan shelter a day. We adopt 10 of them, so you figure that 90 of those animals are going to have to be euthanized," Ferdin says. For most pet stores, the week before Christmas is the busiest of the year. 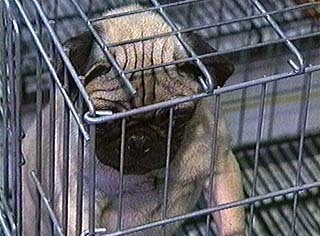 Many pet store owners say they will refuse a sale if they believe a pet is being bought for the wrong reasons. "I have to be careful; very often, I won't sell them puppies," says pet store owner Carlos Cruz. "We stress that buying an animal is a responsibility situation and you need to spend some time thinking about what you're getting into," says pet store owner Lisa Gilford. At pet shelters, there is skepticism about the customer screening process. "If they want to give an animal as a gift, then make sure that the person you are giving it to can make a 15-year commitment," says Mitch Goldberg of the International Kennel Club. Pet experts say don't buy a dog or cat for a gift unless you're sure that the person you're buying it for is prepared to honor the commitment. And if they're not, tell Santa to skip the pet this Christmas.